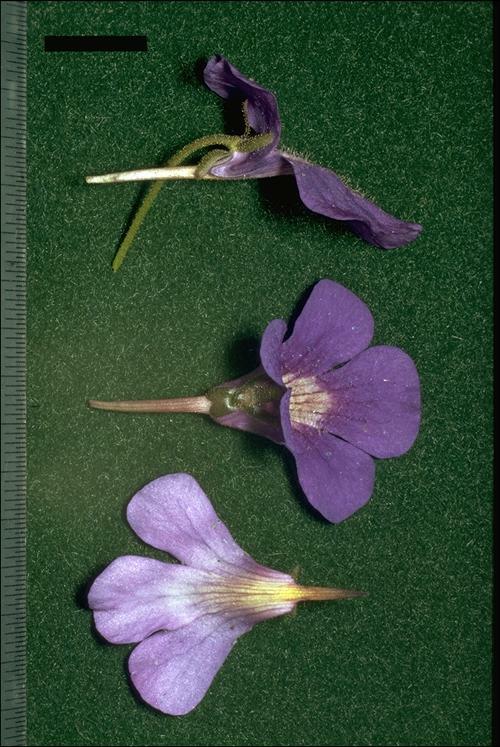 Origin of depicted specimens: France, Dépt. 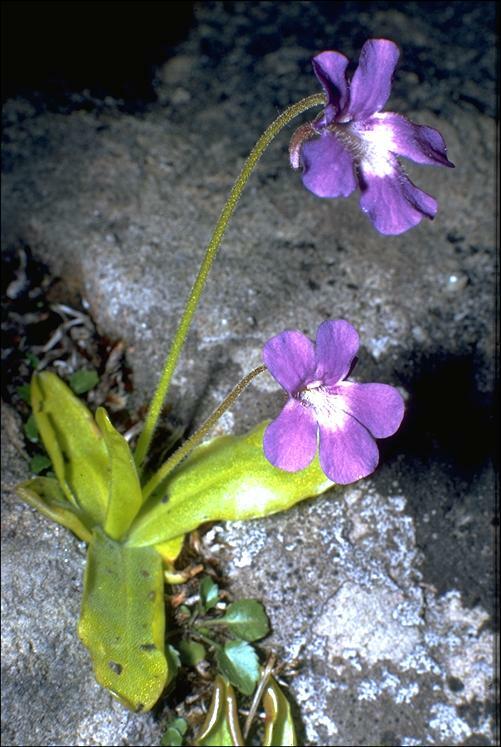 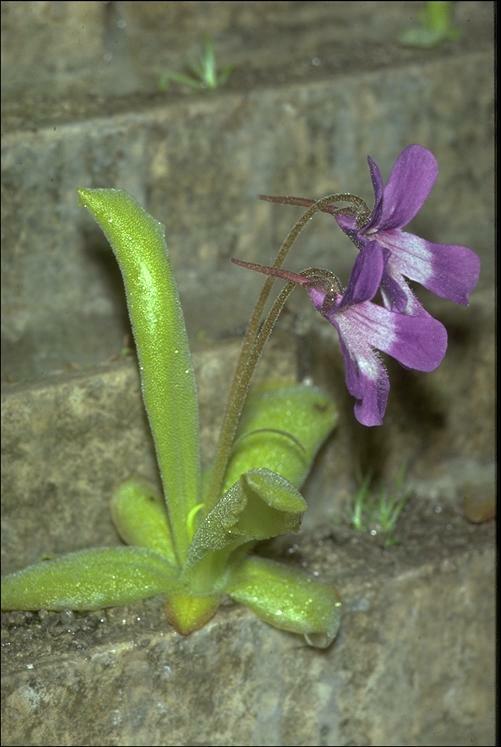 Hautes-Pyrénées, below Cirque du Gavarnie, 1600 m, limestone, in association with Pinguicula alpina and at some places with Pinguicula grandiflora (with which it hybridizes). 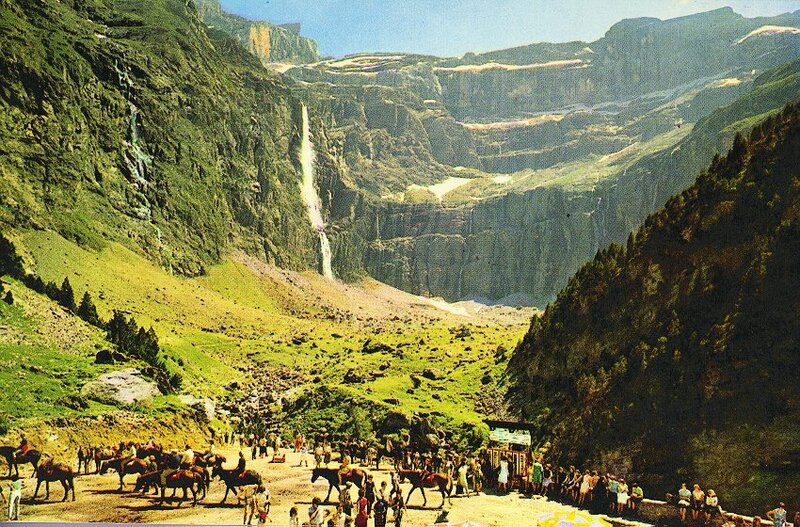 This region is part of a national park where collecting flowers without permission is forbidden.